Galileo Galilei is going from heretic to hero. The Vatican is recasting the most famous victim of its Inquisition as a man of faith, just in time for the 400th anniversary of Galileo's telescope and the U.N.-designated International Year of Astronomy next year. Pope Benedict XVI paid tribute to the Italian astronomer and physicist Sunday, saying he and other scientists had helped the faithful better understand and "contemplate with gratitude the Lord's works." In May, several Vatican officials will participate in an international conference to re-examine the Galileo affair, and top Vatican officials are now saying Galileo should be named the "patron" of the dialogue between faith and reason. It's quite a reversal of fortune for Galileo Galilei (1564-1642), who made the first complete astronomical telescope and used it to gather evidence that the Earth revolved around the sun. Church teaching at the time placed Earth at the center of the universe. The church denounced Galileo's theory as dangerous to the faith, but Galileo defied its warnings. Tried as a heretic in 1633 and forced to recant, he was sentenced to life imprisonment, later changed to house arrest. The Church has for years been striving to shed its reputation for being hostile to science, in part by producing top-notch research out of its own telescope. But that apparently wasn't enough. In January, Benedict canceled a speech at Rome's La Sapienza University after a group of professors, citing the Galileo episode and depicting Benedict as a religious figure opposed to science, argued that he shouldn't speak at a public university. The Galileo anniversary appears to be giving the Vatican new impetus to put the matter to rest. In doing so, Vatican officials are stressing Galileo's faith as well as his science, to show the two are not mutually exclusive. At a Vatican conference last month entitled "Science 400 Years after Galileo Galilei," the Vatican No. 2, Cardinal Tarcisio Bertone, said Galileo was an astronomer, but one who "lovingly cultivated his faith and his profound religious conviction." "Galileo Galilei was a man of faith who saw nature as a book authored by God," Bertone said. The head of the Vatican's Pontifical Council for Culture, which co-sponsored the conference, went further. Archbishop Gianfranco Ravasi told Vatican Radio that Galileo "could become for some the ideal patron for a dialogue between science and faith." 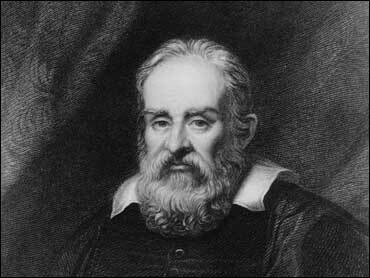 He said Galileo's writings offered a "path" to explore how faith and reason were not incompatible. The Rev. John Padberg, a church historian and the director of the Institute of Jesuit Sources at St. Louis University, said he suspected the Vatican's new emphasis on Galileo's faith came from the pope himself. "Pope Benedict XVI is ardently convinced of the congruence of faith and reason, and he is concerned, especially in the present circumstances, of giving reason its due place in the whole scheme of things," he said. While it is widely accepted that Galileo was a convinced Catholic, Padberg questioned whether he could ever be accepted as some kind of a poster child for the faith and reason debate. "That's going to be a long shot for an awful lot of people, on both sides, by the way," he said. Benedict, a theologian, has made exploring the faith-reason relationship a key aspect of his papacy, and has directed his daily newspaper, L'Osservatore Romano, in particular, to take up the charge. On Monday, the newspaper published a piece on the possibility of alien life on other planets as well as one on the popes who were "friendly" to astronomy. Benedict clearly is: In his Sunday blessing, he noted that the Vatican itself has its own meridian  an obelisk in St. Peter's Square  and that astronomy had long been used to signal prayer times for the faithful. But the Vatican's embrace of Galileo only goes so far. There were plans earlier this year to give Galileo a permanent place of honor in the Vatican to mark the anniversary of his telescope: a statue, to be located inside the Vatican gardens, donated by the Italian aerospace giant Finmeccanica SpA. The plans were suspended after some Vatican officials voiced "problems" with the initiative, said Nicola Cabibbo, the president of the Pontifical Council for Science. He declined to elaborate. Finmeccanica spokesman Roberto Alatri said the Galileo statue was just an idea that never got off the ground. Italian news reports suggested the Vatican simply didn't want to draw so much permanent attention to the Galileo episode, which 400 years on, still rankles some. "The dramatic clash between Galileo and some men of the Church left wounds that are still open today," the Vatican's chief astronomer, the Rev. Jose Funes, wrote recently in Osservatore. "The Church in some ways has recognized its errors. "Maybe it could do better. One can always do better," he wrote.